My 2 year old has recently become pre-occupied with monsters, sometimes she is a monster, sometimes there is a monster in the room but she mentions them at least once a day. I was fairly sure that this was a developmental stage connected with how young children make sense of the world . She has also started talking about a bat that lives in her bedroom. There is a small cubby hole in her bedroom where the stairs cut in for our loft conversion – the bat lives in here. When I questioned her about it further she said that there were 3 bats a baby (with her baby sister’s name) a daddy (with her daddy’s name) and a mummy called Rachel. There are also 3 ogres that live in the cubby hole with them – they scare away monsters. This story made me think about the connection between the whole monster obsession and imaginary friends. 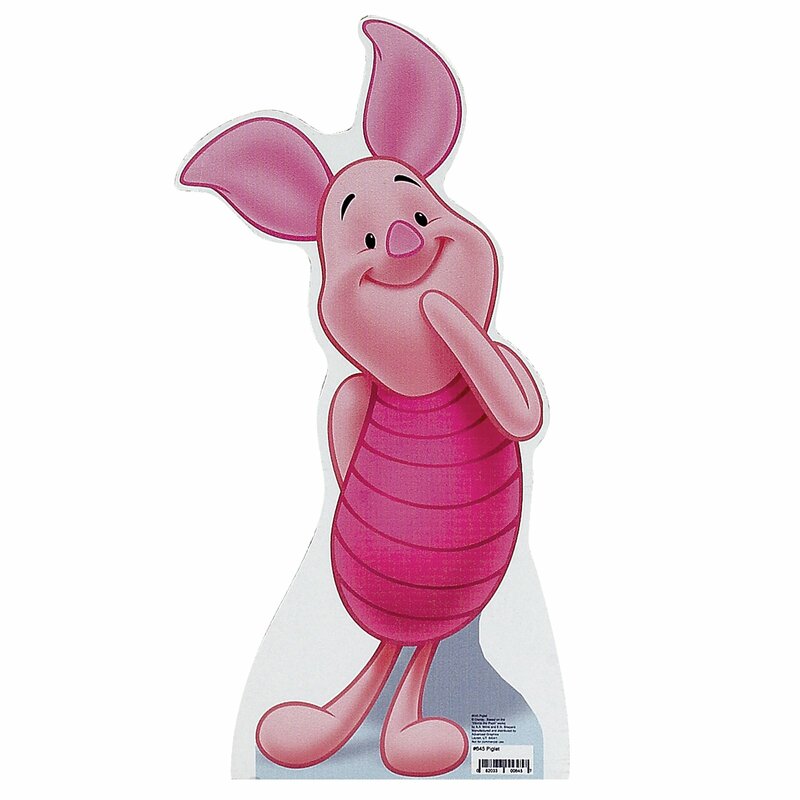 When my eldest daughter was around 3 she had an imaginary friend ‘Piglet’ from Winnie the Pooh. Wherever we went Piglet came with us and usually my daughter would pretend she was Roo and I was Kanga. By a strange turn of events as I was thinking about these things and trying to find some information about the development of imaginary friends and foes in young children, Penny at Alexander Residence wrote a post about imaginary creatures. Imaginary companions usually start appearing between the ages of two and a half to three, around the same time as children start to engage in complex fantasy play. This also signals the beginning of abstract thought. Children are starting to replace physical objects for mental images, for example they can derive comfort from the thought of a teddy bear in addition to the physical object. Their fears also begin to change from concrete things like dogs or vacuum cleaners to abstract concepts such as monsters. You could help children to have the power to conquer their fears by capitalising on this imagination and asking them to suggest what the monster might be afraid of and making a concrete object to represent it. The book also discusses their research into imaginary friends. They found that parents reported that children with imaginary friends were largely happier and more verbal than those children who did not have imaginary friends and that the children were not shy. Imaginary friends are more prevalent amongst only or first born children and they can help children to solve dilemmas. Often they take the form of real characters from television or film in particular super heroes. Charles Schaefer found that teachers of adolescents reported that their most creative pupils had imaginary friends as young children. Imaginative children were more likely to have parents who valued imagination, curiosity, adventurousness and creativity. So if your child has an entourage of imaginary companions don’t despair that they are disturbed or worried about something . Develop the stories with them and enjoy it for the short period it lasts – I loved this imaginative phase with my first and I’m looking forward to the wonderful tales that my slightly bonkers 2 year old will unravel. I love this Rachel, so helpful in my quest to understand ‘that rat’! Nice to know my creative /unstructured approach is paying off. Definitely think ‘that rat’ was about solving issues raised by bereavement too. I agree, I think many of these imaginary characters come to the fore to help children deal with the complicated adult world. Though it is a developmental stage I’m sure that it isn’t a coincidence that the monsters are appearing just as my marriage is breaking up. I once knew a child who suffered a close bereavement and she would say that he was in the roomand tell us what he was doing. Maybe we should all invent imaginary companions to help us through the tough times – now there’s an exercise. What features would your imaginary friend have? Perhaps another post for the near future.